Loyal readers of this blog know very well the name of Mikko Rankin Utevsky. The young violist, singer and conductor is a sophomore at the University of Wisconsin School of Music, where he studies with Pro Arte Quartet violist Sally Chisholm and plays in the UW Symphony Orchestra. Utevsky, who has won awards and impressive reviews for his work in music education since his days at Madison’s East High School, is the founder and conductor of the Madison Area Youth Chamber Orchestra (MAYCO), which will perform its fourth season this summer. 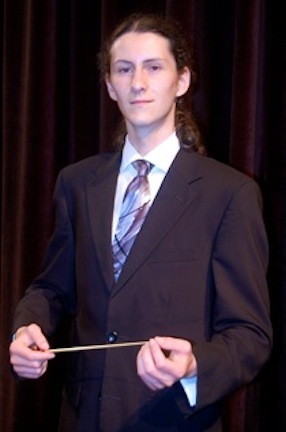 He has been named the new Music Director of a local community orchestra, The Studio Orchestra. The ensemble has an out-of-date website here (www.disso.org). 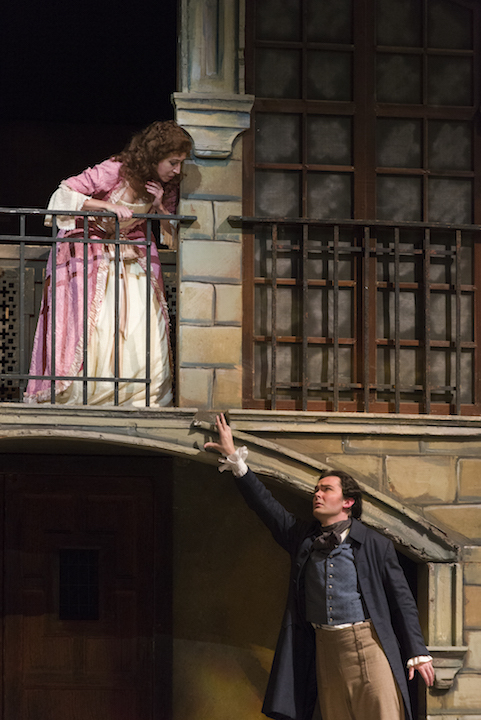 Utevsky offered The Ear a review of this weekend’s two performances of Gioachino Rossini’s “The Barber of Seville” by the Madison Opera in Overture Hall at the Overture Center. The Ear immediately took him up on the offer. After all, he is a fine and perceptive writer who, you may recall, blogged for this post when he was on tour three summers ago with the Wisconsin Youth Symphony Orchestras (WYSO) tour to Vienna, Prague and Budapest. 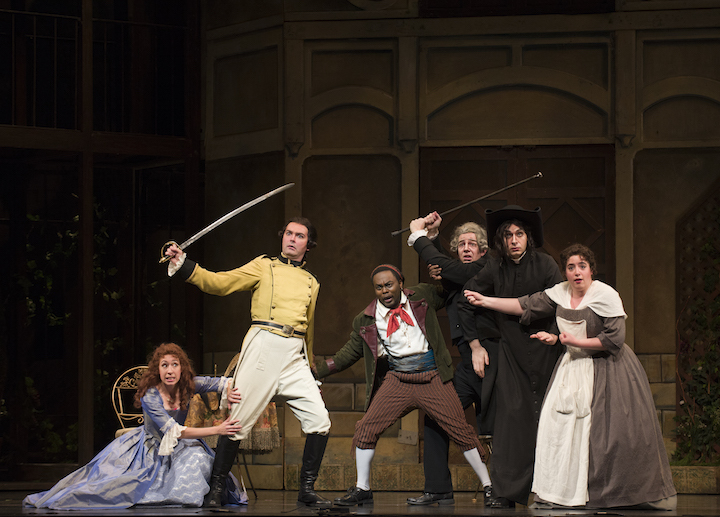 Madison Opera’s production of Rossini’s “The Barber of Seville” this Friday evening was delightful, entertaining, and well-sung throughout. The cast — mostly young — excelled in both their comic acting and singing, making for a performance that the company can be proud of. 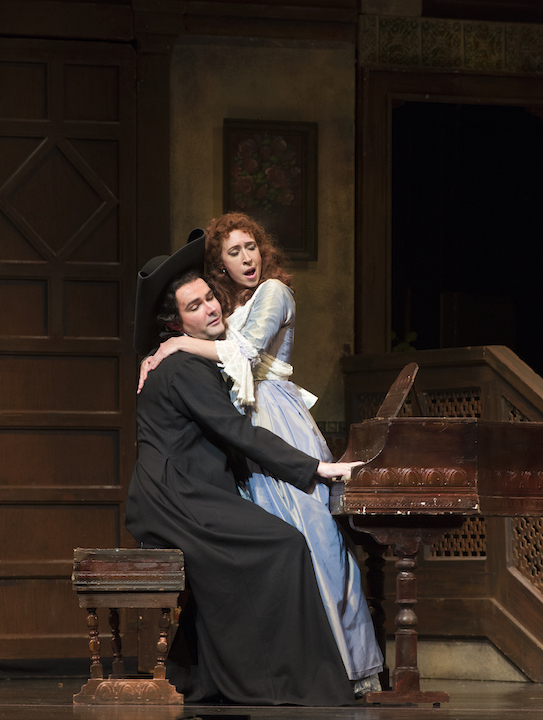 As Count Almaviva (below top right and below bottom disguised as Don Basilio at the keyboard), John Irvin’s lush and youthful tenor shone throughout the evening, growing if anything more secure as the night went on. Emily Fons played a girlish and coy Rosina (below left) with impressive vocal flexibility and pure high notes. Alan Dunbar was delightful as the imperious Doctor Bartolo; his aria “Un dottor della mia sorte” was both solidly sung and absolutely hilarious. 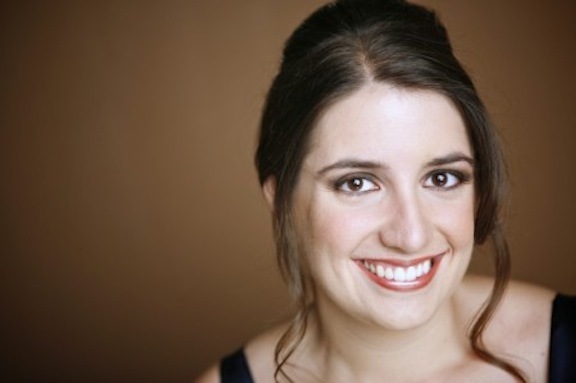 Soprano Chelsea Morris, a Madison Opera Studio Artist, made her company debut as the maid Berta. Her clear and focused tone rang effortlessly atop the ensemble writing, and her lone aria was morbidly funny. 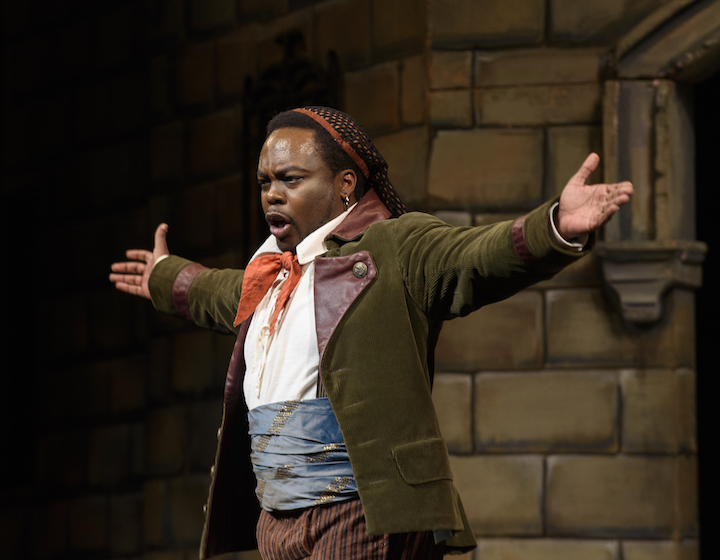 Thomas Forde made for a hysterical Don Basilio from beginning to end, while Bryan Royston did the unbelievable — he stood out in a silent role as the servant Ambrogio with deft physical comedy throughout the night. 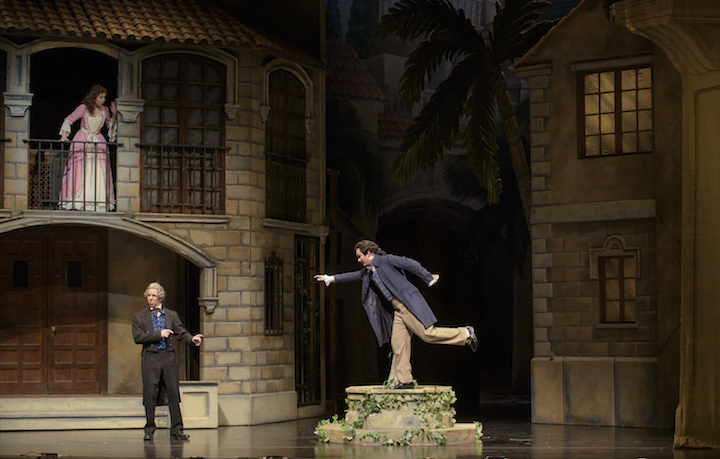 Perhaps above all, director Doug Scholz-Carlson should be commended for an absolutely hilarious staging that managed to balance the schticky and slapstick with some truly clever opera in-jokes. The fourth wall is occasionally shattered to tremendous effect, and every singer is in full command of their comic timing and physicality. 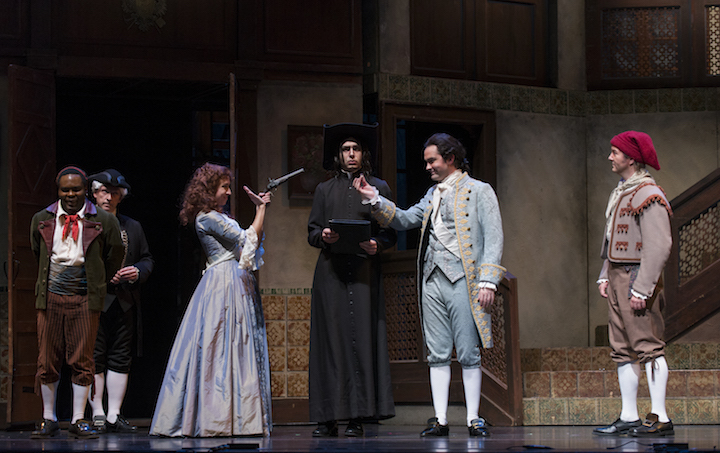 This staging does not put Rossini on a pedestal — it acknowledges that this music is, above all, riotously funny stuff, and it makes full use of the modern stage’s arsenal of gags and tricks to remind the audience of this fact. Judging by the response in the hall, most in attendance agreed. John DeMain led members of the Madison Symphony Orchestra in a clean and capable pit ensemble, with pacing and ensemble mostly tight (though the first act Finale lacked momentum — difficult to bring to so much static music). Scott Gendel provided imaginative accompaniment from the harpsichord, including a few clever musical jokes. A lovely and versatile set — created by Peter Dean Beck for Opera Carolina — provided an evocative setting, with lighting by Marcus Dilliard including a very nice storm. You can see it for yourself this afternoon at 2:30 in Overture Hall — and you should, if only to hear Will Liverman before the big houses snap him up for good. It is a thoroughly entertaining way to pass a Sunday afternoon. A very devilish Trevor Martin, in excellent voice, as Fiorello also deserves mention.